Gypsy Kitchen is now serving brunch! 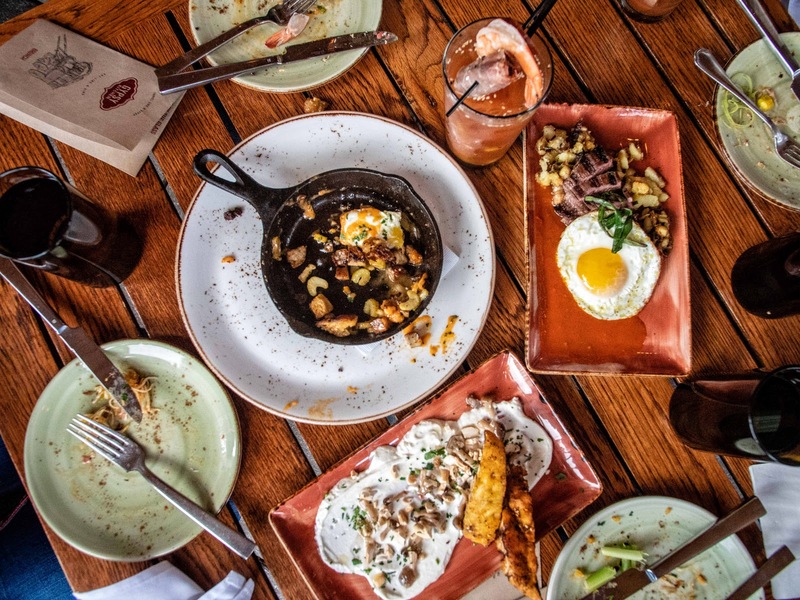 The Spanish tapas restaurant in the heart of Buckhead is known for its dinner service and late-night cocktails, but they’ve added a new daytime menu, and it is fantastic! 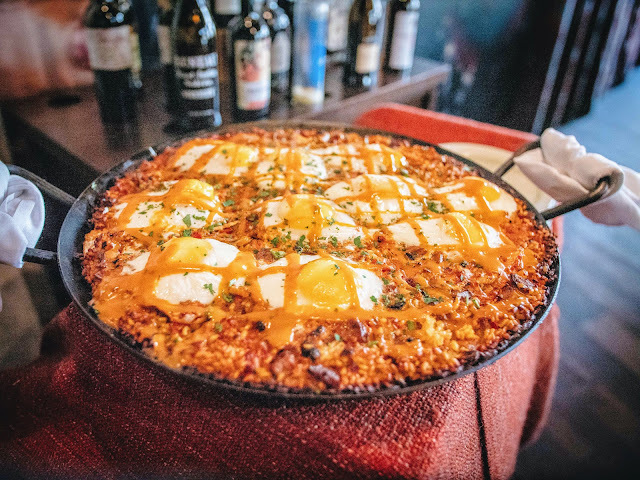 It puts a Spanish-inspired twist on all your brunch favorites, which is the absolute best hangover cure you didn’t know you needed. 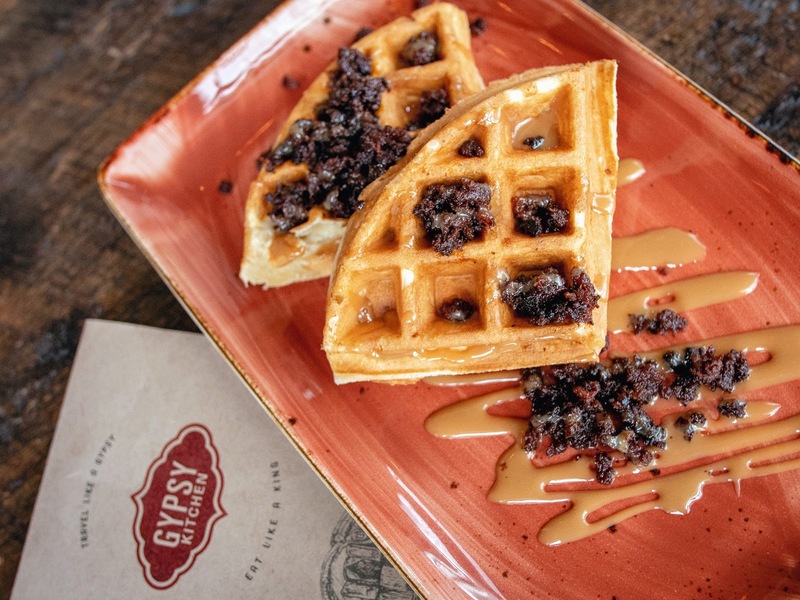 WHY GO: Because you love tapas and brunch, and on Sundays, Gypsy Kitchen has both. THE VIBE: Exotic and inviting. There’s something about this Moroccan-inspired décor that immediately makes you excited to be there and to nosh on all of Gypsy Kitchen’s delicious offerings. The restaurant’s expansive patio is also worth mentioning, and a perfect place to grab brunch. DRINK THIS: Definitely try the Bloody Mary bar. It. Is. Impressive! There are two types of mix – spicy and regular – and seemingly countless options for hot sauces, spices, and toppings. The latter include pickled shrimp, prosciutto-wrapped dates, blue cheese-stuffed olives, and a wide assortment of fresh and pickled vegetables. EAT THIS: Start with gypsy-style poutine. This dish is a bit of a surprise from the brunch menu, because it’s not necessarily a classic Spanish tapa, and it’s not quite authentic Canadian poutine – it’s a mix of the two. And it is so good! Perfectly cooked potatoes, topped with a cheesy sauce, bacon chunks, and a poached egg. Other tasty brunch options to consider: Steak and eggs, Gypsy Kitchen migas, and the candied spicy chorizo Belgian waffle. Yep, it’s a fluffy waffle topped with candied chorizo and served with dulce de leche syrup. Y’all, it is ridiculously delicious! Again, sounds a little out there, but all the flavors go so well together, it’s magical. Pro tip: All plates are tapas-sized, so they’re smaller than typical brunch servings. The server recommended 2-4 dishes per person, and that worked out great. I would highly recommend getting at least 2 orders of the waffles! 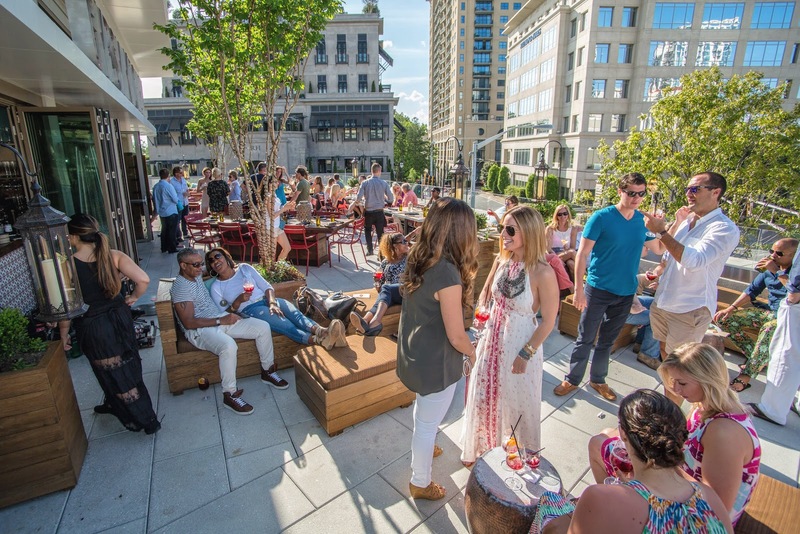 One more pro tip: Chef Gary Finzer is working on perfecting the brunch version of his famous paella, and once it’s ready, it will be served family-style on the patio during Sunday brunch hours. Be sure not to miss that once it launches. LOGISTICS: Gypsy Kitchen is located at the Shops Buckhead Atlanta. Self-parking is available in the garage, and the restaurant validates it. P.S. : The first photo in this blog post (along with a couple of others throughout the post) is by photographer, videographer and editor Collin Rooney. Thanks, Collin!